Our Ranger ticket includes camping on Friday and Saturday night. 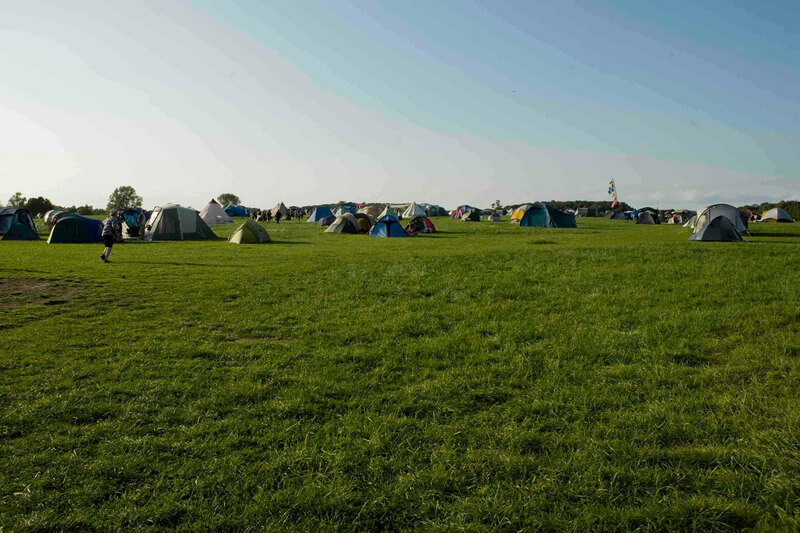 Whether you arrive with your own tent or camper van or prefer one of the tipis or bell tents, being on site is the best way to experience the festival. Camping at Maverick is relaxed. 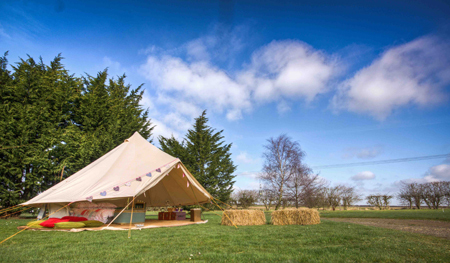 The campsite is set in a beautiful meadow with plenty of space to spread out. You can camp with friends or maybe you’d prefer a peaceful spot, it’s up to you. There’s even a special area for camper vans, caravans and motor-homes. We like to keep the campsite free of cars, which must be parked in a nearby field. If you need help transporting your stuff on the short trip to the camping area, volunteers will be on hand. A Ranger ticket will get you two nights camping (Friday and Saturday). HAVE YOU BOUGHT YOUR RANGER TICKET YET? We’ve one entrance for tents and one for camper vans. If you have tickets you can go straight to the appropriate gate and collect your wristband. 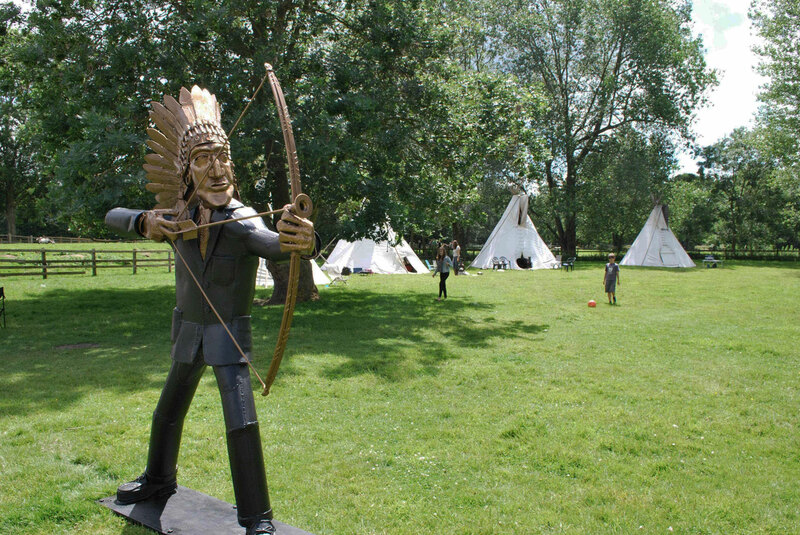 Campers are welcome on site from 3pm on Friday. We’d like everyone to leave the site by 4pm on Sunday so that the Suffolk Punch horses can be returned to their meadow. Portable toilets are conveniently placed around the campsite and in the Farm Park you’ll find plumbed toilet blocks with basins and hot water, as well as a shower block. For your security and peace of mind the site is patrolled throughout the night. We’re happy to have considerate dog owners and their dogs at our festival, just make sure they’re on a lead at all times. Considerate parents and their children are encouraged at Maverick – no need to bother with leads.